I attended the Southern California Regionals this past weekend in Onatrio, CA, which is only a short drive from me. Since the release of Mortal Kombat X in April, I’ve been using it to learn steadily more about fighting games and their community, which I only had an at-a-glance knowledge of based on watching annual EVO streams. Having played MKX almost every day though, I’ve slowly started to learn about things like 50/50 mixups, meter awareness, and what an overhead is. I’ve also started watching more and more streams, following players like YOMI DJT, STB Shujikidink, and cR Honeybee. Battlefield Hardline is a much more intimate Battlefield. The take on cops and robbers from Visceral takes the Battlefield formula and layers it onto the streets of LA. 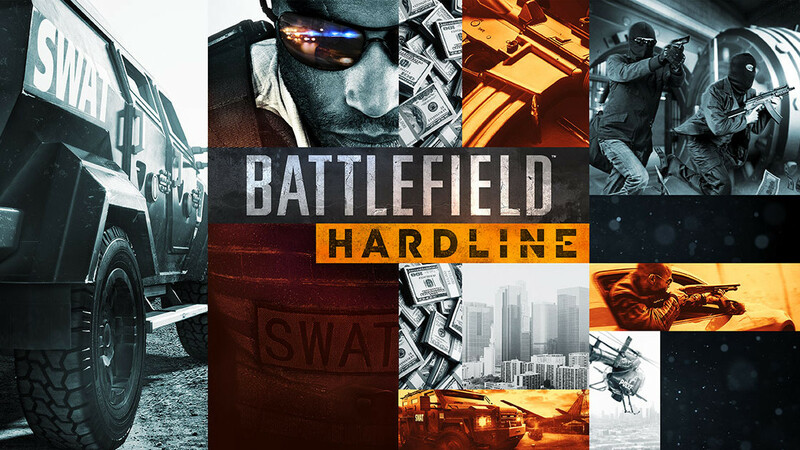 Instead of jets, tanks, and boats, Hardline fits the mold of the Battlefield series onto urban environments that will only appeal to a fraction of Battlefield fans, but those fans are in for a treat. EA's E3 presentation this year was a bit different. While most games were known quantities, some were given stage time even though they're barely into production and were still at the conceptual level. BioWare gave a look at what it's working on for the next Mass Effect game, in development at the BioWare Montreal studio, while the BioWare Edmonton studio gave a look at their new game not set in any previous BioWare franchise. It's a nice to see the early stages of development rarely seen, but at the same time, it's a bit disappointing for a studio like BioWare to come to press conference with nothing substantial to show. There currently is no date for the next Mass Effect game but presumably, it will come to the Xbox One, PlayStation 4, and PC, while BioWare's other untitled game is still sparse for platforms or timeframe. After spending their time with Injustice, NetherRealm Studios is returning to the Mortal Kombat franchise with the 10th installment, simply called Mortal Kombat X. The announcement trailer above shows off the vision they're going for with brutal hits and interactivity within stages. GameSpot has a video of gameplay which was shown during the Sony E3 presentation. Creative director Ed Boon stated Mortal Kombat X is a continuation from Mortal Kombat in 2011 and the story goes as far 25 years into the future, introducing some new characters such as D'Vorah, Ferra/Torr, Kotal Kahn, and Cassie Cage, the daughter of Johnny Cage and Sonya Blade. Mortal Kombat X is releasing in 2015 for the Xbox One, PlayStation 4, and PC. Rocksteady returns to its Batman series with Arkham Knight, taking a more original approach with a new antagonist and incorporates the Batmobile. The gameplay video above highlights how the Batmobile moves, especially in combat with its ability to strafe left at right. When in driving mode, the power of the Batmobile shines through, plowing through barriers as if they were made of styrofoam. And while the Scarecrow is being positioned as the main villain of the game, the Arkham Knight looks to be taking the role of making Batman's job harder as he takes a more militaristic approach to crime in Gotham. Batman: Arkham Knight was originally slated for late 2014 but was pushed back to 2015 when it will come for the Xbox One, PlayStation 4, and PC. Ubisoft gave another look at their upcoming MMO shooter The Division at both the Microsoft E3 presentation and its own E3 presentation this year. In the gameplay video above, a team cascades down on a base of operations, taking it from opposition through teamwork, tactics, and planning. A careful eye will spot one of the players on the team of four is supporting through use of a tablet as he uses drones and turrets. Ubisoft also released a cinematic trailer, as seen below, highlighting the narrative connotations for why the players will be fighting in The Division. The use of stop-motion and the small ambient details paint a picture that lets your mind fill in the gaps of how gruesome life is after what remains. The Division, which originally was slated for a late 2014 late, is now pushed back to 2015 for the Xbox One, PlayStation 4, and, thanks to a petition, PC. It's been a year since DICE showed off anything about the next Mirror's Edge game. Rather than show a normal CG trailer, they elected for a more conceptual look, talking about some of the ways they're building off the first Mirror's Edge. The main things they focus on are movement through the environment, looking at the world as a puzzle to solve through parkour. That parkour also plays into combat, using acrobatic moves and geometry to get the upper hand against enemies. The video doesn't show a gun in Faith's hands at any point, only in enemies', so hopefully it will stay that way into the final game. While DICE didn't announce a release date for the next Mirror's Edge, it is known that it will be coming to the Xbox One, PlayStation 4, and PC. BioWare showed off more of Dragon Age: Inquisition at the Microsoft E3 presentation with a focus on the action gameplay, as seen in the new trailer above. During the EA E3 presentation, however, they went deeper into the mechanics of combat, highlighting the tactical mode, where combat can be paused and the player can issue commands as in previous Dragon Age games. GameSpot has a video showing more action-orientated combat where the camera takes an over-the-shoulder third-person view of the battle. Dragon Age: Inquisition releases for the Xbox One, PlayStation 4, and PC on October 7. Geralt of Rivera, the White Wolf, is a Witcher, a monster hunter. But beyond narrative concessions, there hasn’t been much actual hunting of monsters in a Witcher game. That changes with The Witcher 3: Wild Hunt. GameSpot has a video of the gameplay segment CD Projekt RED showed off during the Microsoft E3 presentation, where Geralt sets off tracking a griffin. Using his heightened senses, he follows the griffin through an area of the open-world called No Man’s Land, until finally coming to battle with the griffin. The Witcher 3: Wild Hunt is the conclusion to CD Projekt RED’s Witcher series and releases for the Xbox One, PlayStation 4, and PC on February 24, 2015.